Relax among bamboo trees, gardens and ponds at Four Moons Spa in Encinitas. 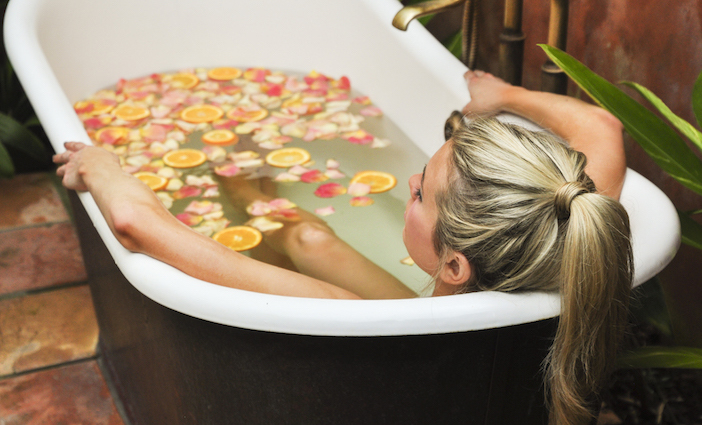 Get your skin prepped and pampered for spring at 4 fabulous San Diego spas. An oasis for wellness in North County, Four Moons Spa makes you feel instantly transported to Bali—a private campus of bamboo trees, gardens, ponds, teak daybeds and twinkle lights. Choose from a full menu of therapeutic massages and spa, skin and nail treatments. For spring, try the Lymphatic Massage Facial ($175, 75 minutes)—a combination of its signature Four Moons Facial (an organic facial, customized to your skin needs, that purifies, brightens and hydrates) with a lymphatic drainage massage to remove toxins and alleviate stress and anxiety. 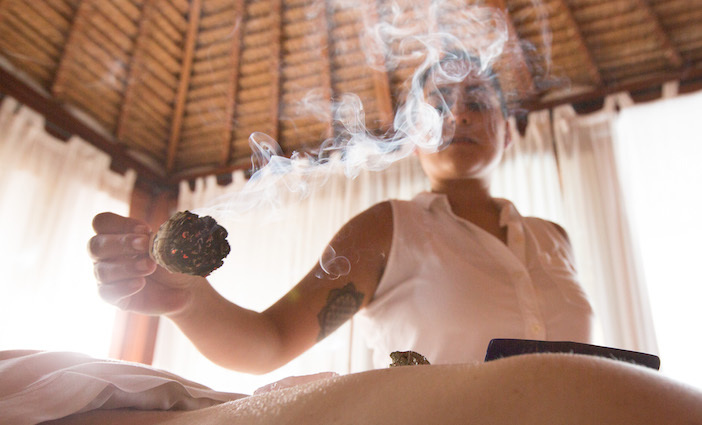 Four Moons also offers acupuncture, astrology and spirit readings, integrative healing, yoga therapy, workshops, special events, sessions with a medical medium and even “soulagory”—a shamanic journey of sorts that yields soul and life path discovery. Now that’s deep. Four Moons Spa, 9775 N. Vulcan Ave., Encinitas, 760.436.5140. Indulge at The Spa at Fairmont Grand Del Mar, San Diego’s only Forbes Five-Star spa. For ultra-posh indulgence, look no further than The Spa at Fairmont Grand Del Mar—San Diego’s only Forbes Five-Star spa. The opulent haven encompasses plush treatment rooms; an adults-only relaxation pool; a fitness center; hair salon; boutique; and men’s and women’s relaxation lounges with fireplaces, indoor whirlpools and wet and dry saunas. The full-service spa is only the second location in the U.S. to carry the coveted Dr. Burgener Switzerland products and provide its treatments. One such treatment is the ultra-luxe Grand Cru Facial ($450)—90 minutes of pure bliss that plumps, hydrates, smooths and firms the skin. The facial incorporates the flavonoid-rich Repairing Grand Cru Gold Complex—a meld of chardonnay, pinot meunier and pinot noir enhanced with gold minerals; green caviar, a rare algae used in Japan; a potion of FicuVita stem cells, peptides and hyaluronic acid; a VitaSkin ultrasound infusion; and microdermabrasion. Translation: Your skin will simply glow. 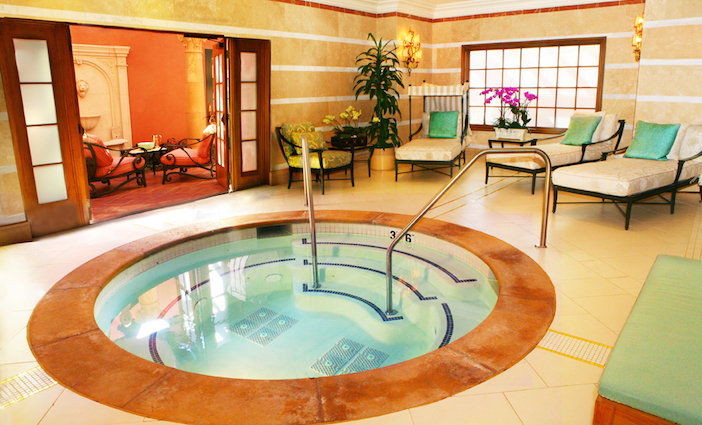 The Spa at Fairmont Grand Del Mar, 5300 Grand Del Mar Court, Del Mar, 858.314.2020. The Spa at Rancho Valencia combines ancient wisdom with modern science for a healing experience. The Spa at Rancho Valencia, a luxurious, intimate resort tucked away in Rancho Santa Fe, offers its Elemental Wellness treatments combining ancient wisdom with modern science to stimulate healing and vivacity. The Vitality Ritual ($285, 90 minutes) is a therapeutic body treatment that begins with cleansing and dry-brushing, followed by a mineral body wrap and head massage, and finished with an aromatic bath soak. The spa includes a yoga pavilion, a Pilates studio, a pool with cabanas, lush gardens and tranquil water features. Treatment rooms feature fireplaces and private outdoor soaking tubs. The Spa at Rancho Valencia, 5921 Valencia Circle, Rancho Santa Fe, 858.756.1123. Shop Good carries coveted beauty lines like Alima Pure and RMS Beauty. With signage that reminds you that “your face is fabulous,” Shop Good is a “clean beauty” boutique in North Park, owned by Leah Kirpalani. 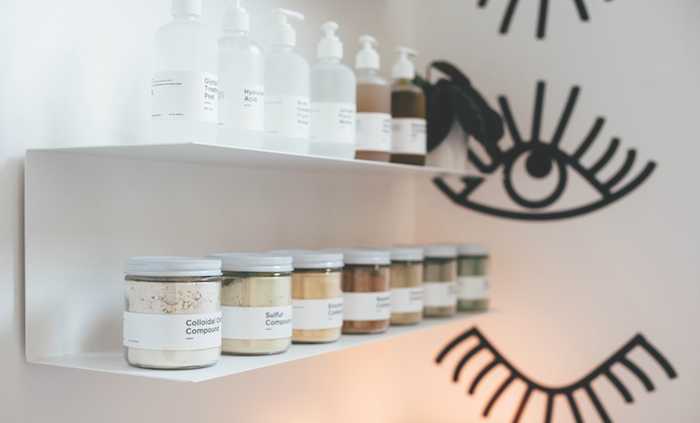 Shop among coveted beauty lines such as Alima Pure, RMS Beauty and Ecobrow; and enjoy a customized Organic Facial ($100, 75 minutes) by a holistic esthetician in its treatment room. The facial incorporates the Botnia skin care line and includes a neck, hand and foot massage. Shop Good, 3030 North Park Way, North Park, 619.501.5362.